NEW YORK, August 15, 2018 – Inc. magazine today revealed that MDG Computer Services (dba 3GSTORE) is No. 4442 on its 37th annual Inc. 5000, the most prestigious ranking of the nation’s fastest-growing private companies. The list represents a unique look at the most successful companies within the American economy’s most dynamic segment—its independent small businesses. Microsoft, Dell, Domino’s Pizza, Pandora, Timberland, LinkedIn, Yelp, Zillow, and many other well-known names gained their first national exposure as honorees on the Inc. 5000. "It is a great honor to make this list and this is possible because we have the greatest employees, customers, vendors and partners," said Michael Ginsberg, CEO and Founder of 3Gstore.com. Peplink originally released their SD Switch with 24 ports around January 2017. As of last week, they are now providing an 8 port and 48 port model. Users with smaller or larger networks can now benefit from this software-defined networking management tool. Unlike a lot of other managed switches, the Peplink SD Switches have a power budget over 200 watts. This allows you to run more PoE devices. It also provides scheduling features like other Peplink/ Pepwave hardware, so you can control when ports are accessible or not. There’s also the benefit of Peplink’s InControl2 cloud management as it gives users an easy way to monitor and manage their devices from anywhere in the world. For more details, check our hands on review of the 24 port model here. Today we received a reminder from Sierra Wireless that users running Verizon SIMs on their routers are vulnerable to IoTroop/Reaper malware (this was also addressed back in March). If you're experiencing any problems and need assistance, please let our support team know! It should be noted that this is NOT a new threat, it’s simply part of continued efforts by Sierra Wireless to ensure our customers have taken the necessary precautions to secure their gateways and if assistance is required they understand who they can contact for support. You are receiving this communication because our records indicate that you have one or multiple Sierra Wireless AirLink® Gateways deployed on your network. Sierra Wireless has issued a security bulletin which indicates that these gateways are vulnerable to IoTroop/Reaper malware if not correctly deployed or configured. Among other things this malware is known to steal user passwords and contact a command and control server in order to participate in a Distributed Denial of Service (DDoS) attack. These DDoS attacks expose gateway users to significant and unexpected surge in data usage and charges. We take this threat seriously. If you have not yet been contacted directly by Sierra Wireless or their authorized re-seller, please immediately reach out to them for assistance getting your devices secured. To claim the rebate, customers must fill out the rebate form and provide the serial number of their new amplifier as well as the serial number of the unit they are replacing. ALL older 3G boosters qualify, including ones from other manufacturers! It is the customer's responsibility to submit all necessary info to HiBoost by 9/10/2018. 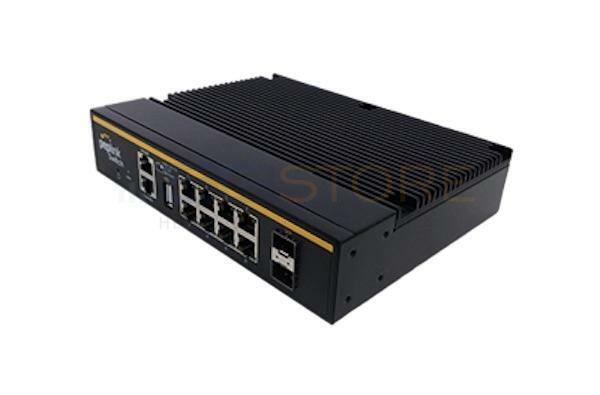 3Gstore.com has been carrying Remote Power IP Switches for several years. We’ve offered a number of different models with various features and management options (app-controlled, Google Hangouts, etc), but they all provide the same basic function: the ability to automatically power equipment on or off remotely. The only downside to these devices for some users is that they require local internet connectivity - i.e. they must be connected to your router on-site for monitoring and remote access. Now, we’ve got a device that uses its own built-in cellular connection instead, making it perfect for users who can’t add a switch to the local network (or simply prefer not to). The 3Gstore SMS Power Switch is the first remote power switch we’ve carried that does NOT have to be connected to your network - that means no router! In fact, it has no data, IP, or WiFi capabilities - it’s controlled completely via SMS text messaging, which increases its level of security. After all, you can’t hack what you can’t access! It takes less than 5 minutes to set this convenient little box up - just plug the SMS Switch into power and plug your equipment into the SMS Switch outlet. From there, you can start messaging your Switch from anywhere in the world you have cellular service and it will respond in seconds! Send specific text commands to turn the outlet on or off and the SMS Switch sends a text back confirming the action has been completed. Real time power status and temperature alerts (if using the included sensor) are also available. When power is lost, or the temperature rises or falls outside your set threshold, a text notification will be sent automatically. The temperature sensor can also be used in conjunction with automated on/off schedules, for applications where a device needs to be powered on or off when the temperature reaches a certain threshold. The SMS Power Switch is available now for $249. Service is included for the first year (up to 20 text messages sent/received a month), and can be renewed for $25/year in the future. To claim the rebate, customers must fill out the rebate form and provide the serial number of their new router as well as the model and serial number of the router they are replacing. ALL older CDMA-capable routers qualify (including 3G-only models and Cat 3 LTE models), including ones from other manufacturers! It is the customer's responsibility to submit all necessary info to Cradlepoint by 1/31/2019. Valid for US customers only. The Remote Power IP Switches at 3Gstore have become very popular products for a wide range of our customers. These provide users an easy way to automatically reset and also manually control power for modems, routers, cameras or any other network attached devices, as well as things as simple as a light or a fan. Both the 2 Outlet and 1 Outlet models have even been within the top 3 of our top 10 products sold annually, the last 3 years running. Recently, the 1 Outlet model, ezOutlet (aka EZ-11B), was discontinued and replaced with the ezOutlet2 (aka EZ-22B). We’re excited about this updated model as it still provides the same functionality of the original ezOutlet, but adds additional methods for remote access. One major difference is that ezOutlet2 uses a new mobile application called ezDevice (available for Android or iOS devices). The manufacturer has also created a cloud management website for users to log into if using a mobile device is not ideal. This website, https://cloud4uis.com, gives the user more flexibility with management in that you can now provide the login to multiple users that can then access from anywhere in the world. When you receive your ezOutlet2, setup and configuration should normally take under 10 minutes. Just create yourself a login for the app and Cloud4UIS site (same login credentials are used) and follow the setup guide for instructions (a quick start guide is also included from the manufacturer). Those who have familiarity with the original ezOutlet will see that the configuration options are the same. Firmware updates have not changed either, so if you plan on only using the website to access your device, be aware that you will still need the mobile app to perform firmware upgrades. If you have trouble with your modem, router or other network attached devices that require a power reset to fix, be sure to check out the 3Gstore Remote Power IP Switches today!